This week's top NCAA basketball games will be highlighted by Wednesday's matchup between North Carolina and Duke, who will pen the next chapter of their beloved rivalry at Dean Smith Center in Chapel Hill. Saturday will welcome a bevy of top-priced games in Indiana vs Purdue, Kansas State vs Kansas and Texas A&M vs Kentucky. Temple and Villanova will make up the fifth most expensive game of the week when they battle at Reed Arena on Wednesday. One of the most talked about events in college basketball is finally here, and it will likely live up to its hype on Wednesday night. The North Carolina Tar Heels will host the Duke Blue Devils at Dean Smith Center in what will likely be considered one of the biggest games of the college basketball season. The secondary market has certainly backed that up, as North Carolina Tar Heels tickets against the Blue Devils now average $1,031.06 and the cheapest is listed for $288. The Indiana Hoosiers will host the Purdue Boilermakers at Assembly Hall on Saturday night in what will be the second most expensive game of the week. Indiana Hoosiers tickets on the secondary market now average $356.46 and the get-in price is $231. The Hoosiers take a 20-6 record back home to face Nebraska on Wednesday before taking on Purdue over the weekend. The second and final regular season meeting between the Kansas State Wildcats and Kansas Jayhawks will take place on Saturday night at Fred Bamlage Coliseum in Manhattan. Known as the "Sunflower Showdown", the two teams first met at the beginning of the month, where the Jayhawks took a decisive 77-59 victory at home from the Wildcats. 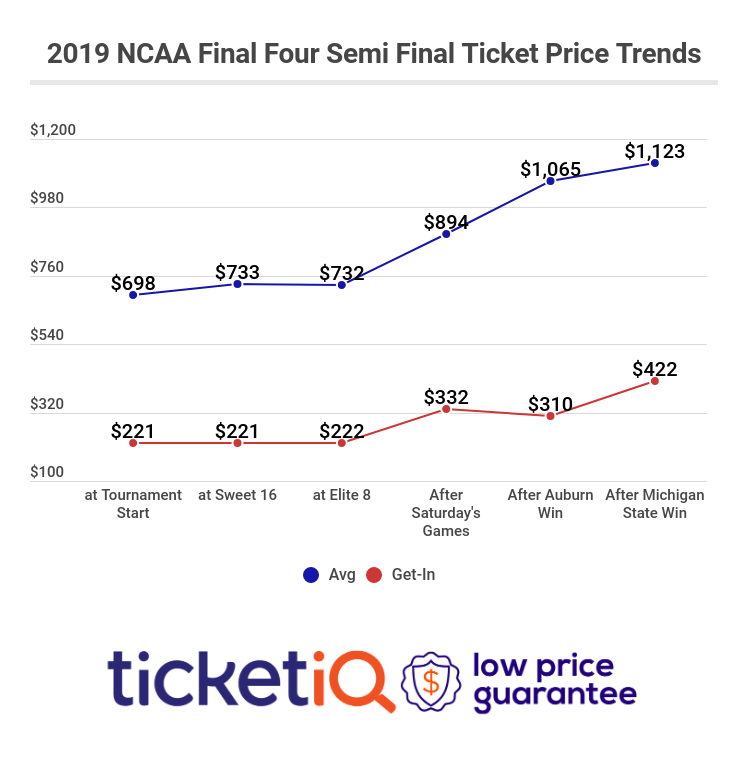 They'll look for a similar outcome on the short path to Manhattan this weekend, where Kansas State Wildcats tickets on the resale market average $229.66 and the get-in price is $142. College Station's Reed Arena will welcome a Saturday matchup between Texas A&M and Kentucky. The Aggies currently sit at 18-7 on the season and will host Ole Miss before welcoming the 19-6 Wildcats this weekend. The average price for Texas A&M tickets vs Kentucky is now $212.31 and the cheapest available ticket is listed for $130. Kentucky will face Tennessee at home on Thursday before heading to Texas for the weekend game against A&M. Rounding off this week's top NCAA basketball games list is Temple vs Villanova on Wednesday night. Temple tickets vs Villanova currently own a secondary market average price of $149.37 and the get-in price is now $91. The Owls own a 16-8 record and ride a five-game win streak into their bout with the Wildcats, who have compiled their own five-game winning streak entering Wednesday's game.